Ready for a food-filled weekend? 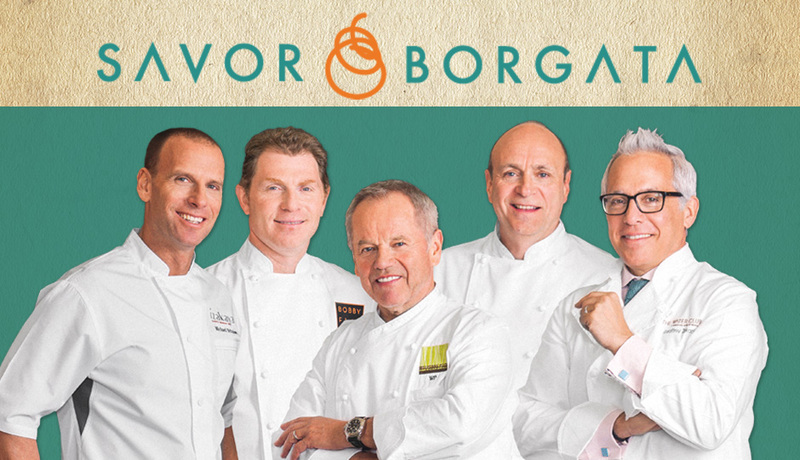 Borgata Hotel Casino & Spa invites you to Savor Borgata on Friday, November 6 and Saturday, November 7 to celebrate the resort’s top-notch food and beverage program. Known for its 161,000-square-foot casino floor, nearly 3,500 slot machines and more than 250 table games, Borgata deserves its reputation as the premier Atlantic City destination. But even with all of these features, at Savor Borgata, food is the focus. Guests can participate in cocktail parties, chef dinners, hands-on classes and culinary demonstrations. The weekend concludes with Street Eats: Savor the World on Saturday at 8 pm. The event includes eating, drinking and mingling with Borgata’s celebrity chefs — such as Bobby Flay, Wolfgang Puck and Geoffrey Zakarian — while enjoying festive street fare. Live music and entertainment, games, culinary demonstrations, and wine and beer gardens round out the evening. Psyched yet? Tickets for each event are sold separately and are on sale now. Prices range from $25 to $225. Buy ‘em here. For more information about culinary delights at the Borgata Hotel Casino & Spa, click here.